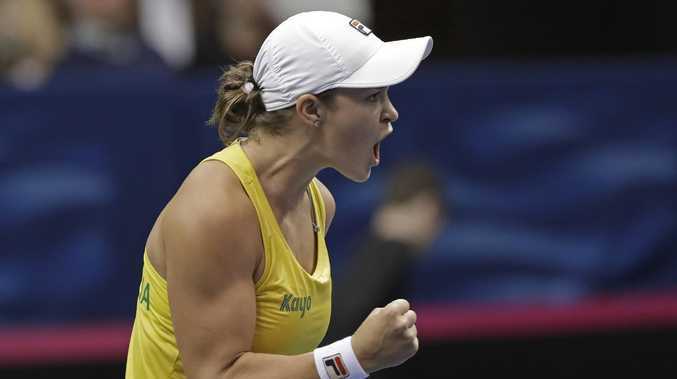 Ashleigh Barty will shoulder Australia's Fed Cup hopes on a potentially epic final day after a gripping opening session left the archrivals tied at 1-all. Barty will contest reverse singles against US No.1 Madison Keys before partnering Daria Gavrilova in doubles as Australia attempts to reach April's semi-final round. Undaunted by the workload, Barty is relishing the challenge in Ashville, North Carolina. "For me, it's an opportunity to go out there, enjoy playing for my country, enjoy the fact I have the privilege of putting on the green and gold and wearing Australia on my back," Barty said. "Playing after the national anthem in the first rubber is very, very special. "I always say that. I said that to 'Mol' (captain Alicia Molik) after the draw was done yesterday. "I have the opportunity to go out there and try to do the best for my team, my captain and my country." Barty swept past American Sofia Kenin 6-1 7-6 (7-2) before Keys overwhelmed Queenslander Kimberly Birrell 6-2 6-2 to level the tie. 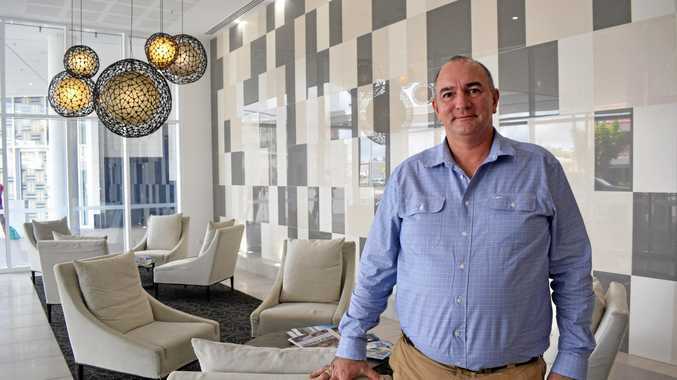 Molik believes Australia is well placed to upset an US outfit without three grand slam singles champions - Serena and Venus Williams and Sloane Stephens. "I couldn't be happier going into day two one-all," Molik said. "I think it's a good position to be in. "I think what we have is a really good quality team - we always plan and prepare for the fifth rubber." Barty will face Keys in the first of the reverse singles, before Birrell challenges Kenin (USA). Barty and Gavrilova will tackle Danielle Collins and Nicole Melichar in doubles.